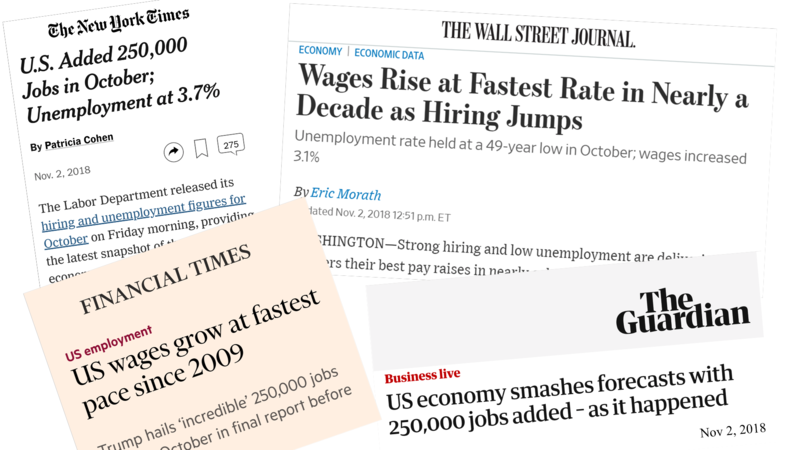 New jobs surged in October, unemployment stood at a 49-year low, and wages rose more than they have in nearly a decade. But the really big story, which received scant mention in the media, is that productivity soared again. Real disposable income — personal income after taxes, adjusted for inflation, and divided by the number of people in the U.S. — in the 12 months through September, grew by 2.2%. That’s a 30% higher pace than in the last economic boom. Car sales, in October, shifted into high gear. After speeding to 17.9 million in September, car sales were expected to slow — but, no! — they went to 18 million!